You can now fill out our Event Form to have your event posted on the West Grey Chamber of Commerce website! 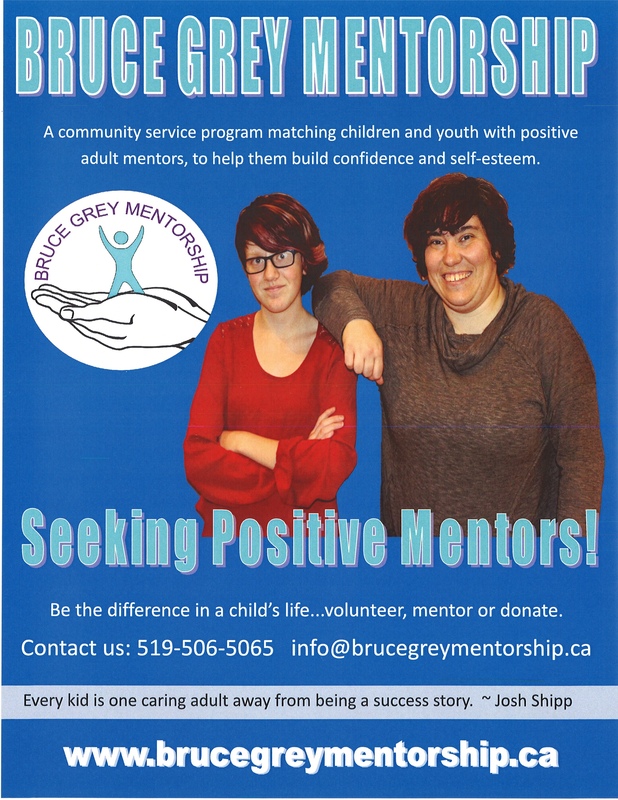 "Courtesy of the Municipality of West Grey Photo Contest"
If you want to make a valuable investment in your business and in the community, the Chamber is where you start. With premier business and networking opportunities among its many benefits, the Chamber offers reliable support to help your business connect, succeed and grow. Your investment pays dividends in the form of new customers for your business, a stronger economy and an exceptional quality of life in our community. Whether you own and operate a storefront, a non-profit organization, a farm, or work independently out of a spare bedroom, there are plenty of good reasons to join the West Grey Chamber of Commerce. Potential customers will check with the Chamber to see if you are a member to ensure you are reputable & stable. Chamber decals are provided to display in your business so that your customers can see that you are a member. Members can display business cards & brochures free in the Community Info Rack in the Chamber office. Extensive Web Presence on our website: Full Web Page to feature your business, including photo banner, description and links.The website allows internet users to access your business profile and contact info. The West Grey Chamber of Commerce website averages over 2,000 hits a month. A potential of over 2,000 new customers/clients finding out about your business! Does your business accept Credit/Debit card payments? Earn a $1,000 MasterCard gift card if First Data cannot beat your current rates! To get started, all that is needed is 1 copy of your merchant statement and 5 minutes of your time. 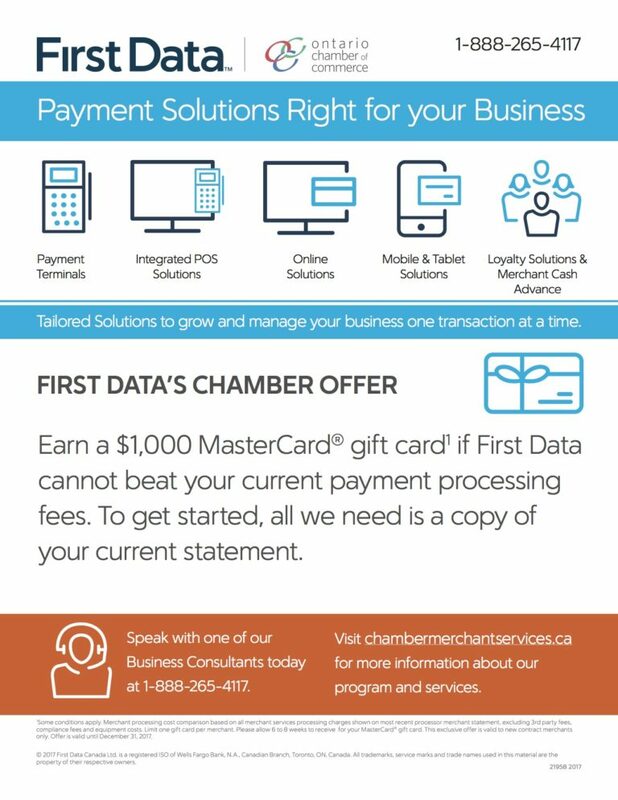 For more information, either call 1-888-265-4117 or email First Data at chambermember@firstdata.com. Discounts of 30% when shipping export or domestically, 25% on import shipments and starting at 75% on freight shipments services with the UPS Savings Program. Bi-Monthly Business After 6's (from 6pm-8pm) Networking Social located at various Chamber businesses: A great way to showcase your business to fellow members and to share concerns, ideas, and to meet the other members. All Chamber businesses are welcomed to offer their place of business for the Networking Socials. The Chamber does re-imburse the host up to $100 for the refreshments offered. Keep all receipts! Advertising Discount: The Spotlight, West Grey Chamber of Commerce member, is offering a 10% discount on the Regular Price advertising only for West Grey Chamber of Commerce members! The Chamber is your voice of the Business Community (Local/Municipal, Provincial, & Federal).